This week is all about our exercising mottos or philosophies. For the longest time I was a “Just Do It” girl, wearing the Nike gear and at times channeling my best Serena Williams on the tennis court. I would work hard in the gym and twice as hard on the court. Sweat would pour down my face, arms, and legs. I would wake up sore and have to stretch even more. That was about a decade ago and now my focus has changed. 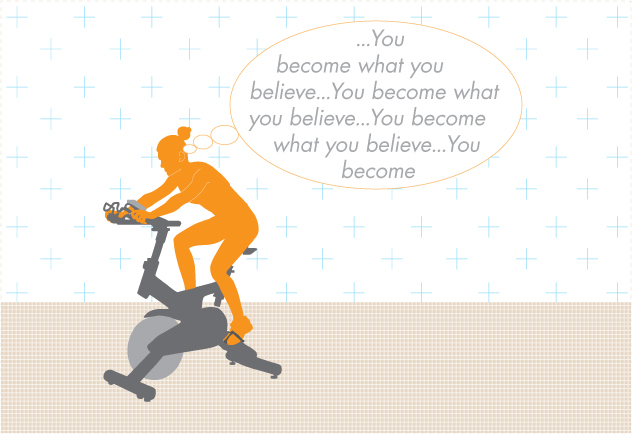 Now I follow “You become what you believe” (Oprah Winfrey). The belief is that your thoughts and words become who you are. So now I stay focused on what I am grateful for and before each workout I tell myself that I can do it. Positive self-talk keeps me focused, happy, and motivated. This new method also helps me stay in tuned to my body. There are days that I might have more pain than usual. I acknowledge the pain, but don’t dwell in it. I stay grateful for the day and focus on what is going right. This seems to keep me moving and stay moving. “You become what you believe”… and I believe that today will be a great day.